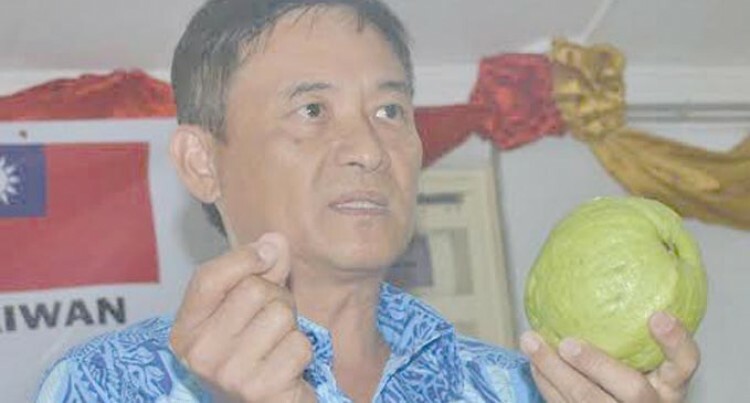 The Ministry of Agriculture, in collaboration with Taiwan Technical Mission, have taken a bold step in trying to introduce a new breed of Taiwan Guava as a commercial crop in Fiji. This was highlighted by Principal Research Officer (Horticulture), Shalendra Prasad, during the Introductory Field Day presentation on Tropic Fruit (Taiwan Guava) at Sigatoka Research Station in Nadroga yesterday. “If all the plans go well than we are hoping to release this new variety next year following which we will make seedlings available for the farms to plant in Orchards,” he said. “We are now thinking of cultivating guava as a commercial crop and we are confident this can be a new crop for Fiji,” he said. Mr Prasad said the seedling is expected to be distributed to orchard farmers next year. “At the moment we only have papaya as a commercial fruit in the plantation list. We do not have much cultivation of fruits in Fiji. “This guava is not for export currently but for import substitution and the new breed of Guava has adapted well to our climate,” he said. “It was first introduced in Taiwan 10 years ago and they have been in our research programme. Farmer, Mant Kumar, said he was grateful for this initiative. “I have a good feeling about this and would also want to grow it in my farm. I plant all types of vegetables and Taiwan guava will be really good boost to my farm,” he said. Team Leader Taiwan Technical Mission, Yeong-Lang Yang, said they were pleased to be in this partnership. He said: “The Taiwan guava takes about eight months to grow using seeds, grafting or layering.